Transform the ordinary into something extraordinary with the power of mosaics. 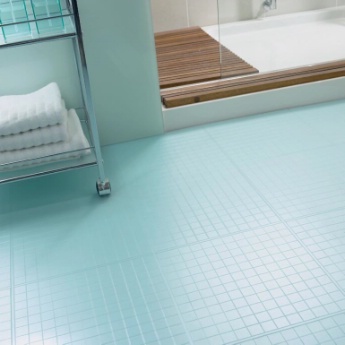 These tiles comes in just about any imaginable color, size, and finish. 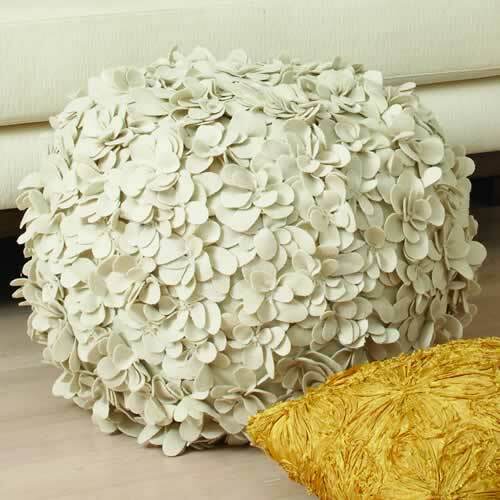 Use them on the floor, a focal accent wall, a backsplash, custom pedicure base or any place unexpected! 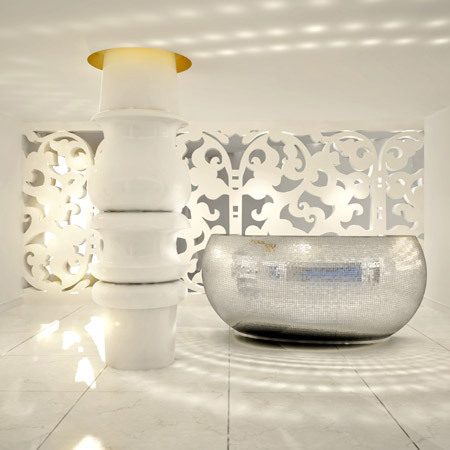 Not only are they a durable surface but they add a luxurious ambiance to any space. Do not fear, improvements over the years have made installation a snap for mosaics that used to be tedious and time consuming. 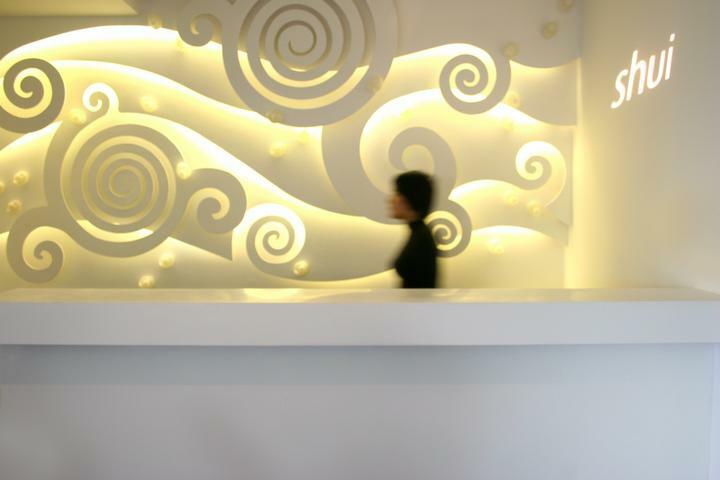 Depending on the complexity of your project you may or may not need a professional tile installer. Nothing says spa more than the look of green glass and natural stone! This porcelain tile is made to look like natural stone but with none of the maintenance. Get the look! A modern way to create interest and texture with classic materials that won’t go out of style. 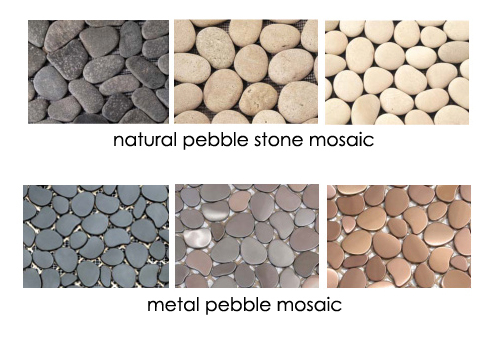 Bring some outdoors in with the look of these natural pebble stone mosaic tiles! If you want to add a more modern drama, kick it up a notch with these metal pebble mosaics. 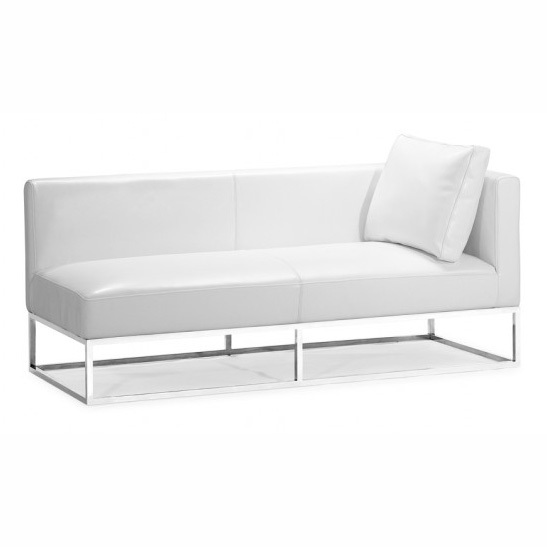 The smooth finish is unexpected and creates a bold statement. Definitely one of my fav’s, pebble tiles add nature’s warmth whether you want to add a little tropical flavor or create a tranquil rustic refuge. They do contain “magic” that can transform an ordinary space into one that takes my mind to a place of relaxation. Not your ordinary porcelain tile! This subtle wave pattern in two variations creates interest and and sophistication with the simple color palette and smooth finish. Add a contrasting grout to show off the curving lines of this unique tile. Just another way porcelain tile has reinvented itself! 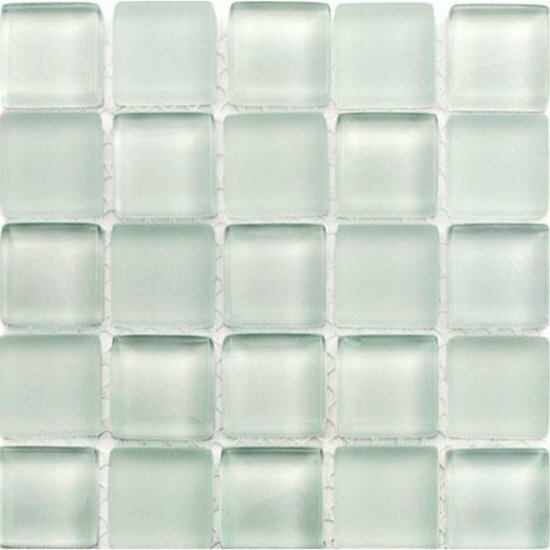 New Trend Product Alert: If you thought glass mosaics were amazing then take a look at some of the newest products that actually combine the gorgeous look of glass with the elegant look of natural stone. 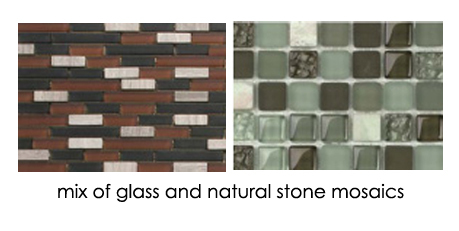 You will start seeing the mix of frosted, glossy, matte, and textured glass and stone mixes! Play with the scale by using more linear patterns like the brick style shown on the left or even smaller 1/2″ x 1/2″ size to create a look all your own. 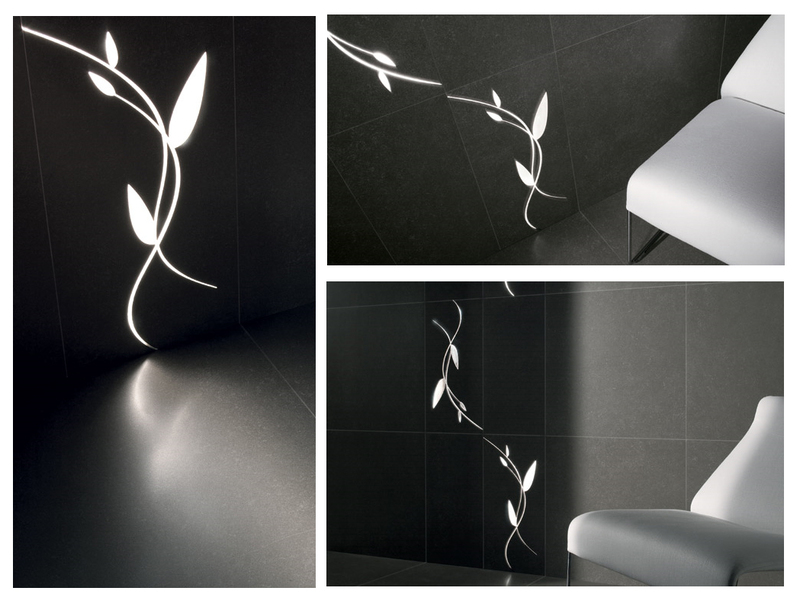 Look for new products to hit the market which are integrating LED lighting into porcelain tile planks! Above you can see an example of this state-of-the-art new product from the manufacturer Graniti Fiandre that comes in a couple of styles both with a flowing organic vibe. Oh so spa, a must have- I think so! 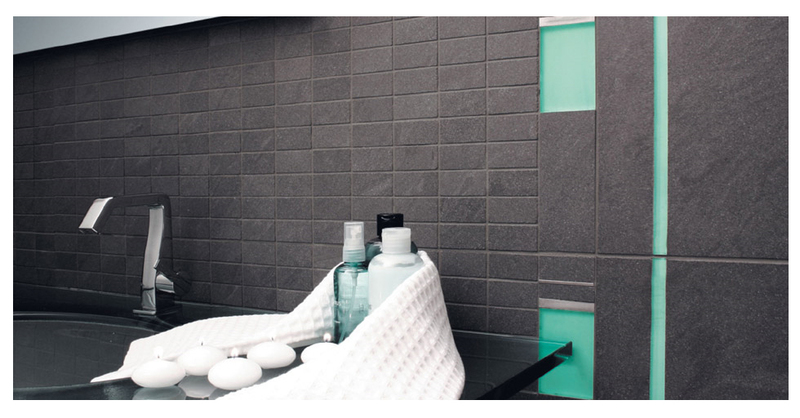 Have you used mosaic tile to transform your space? We’d love to hear from you!